AlleyOOP trampolines have the most advanced performance and safety features of any trampoline on the market. 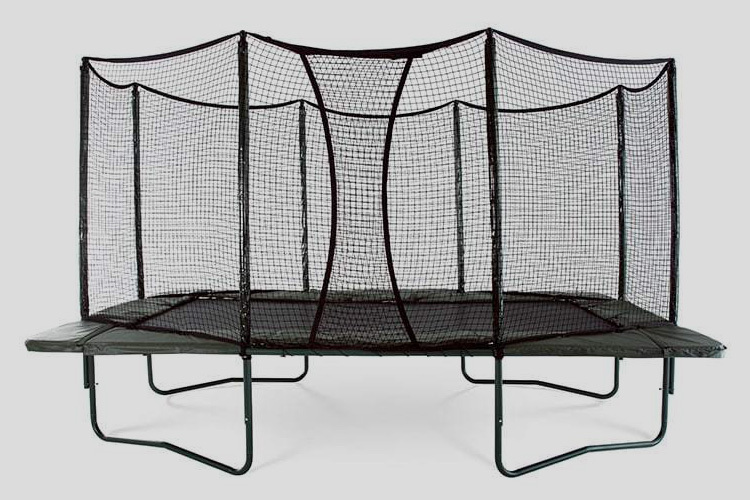 we absolutely have the perfect trampoline for you. 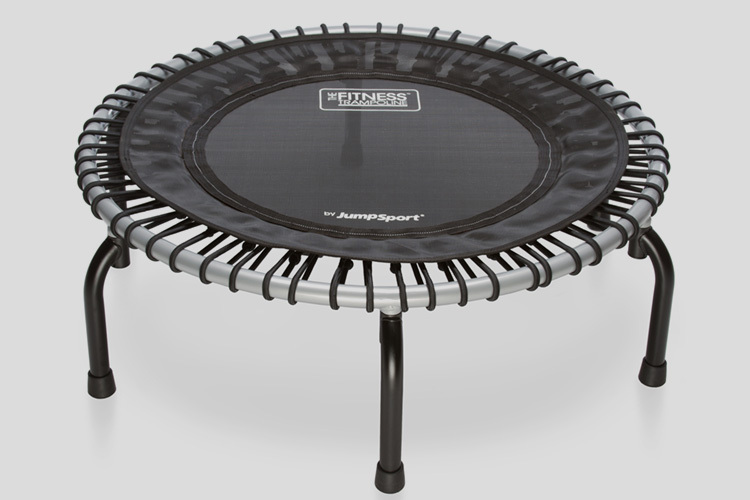 Portland Trampolines offers AlleyOOP's VariableBounce and DoubleBounce trampolines along with the ultimate PowerBounce option for all models. 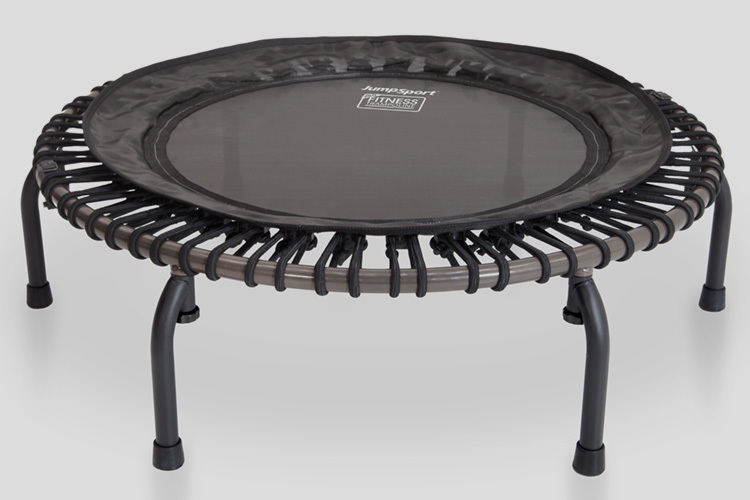 We also offer JumpSport's popular, low-impact fitness trampolines in several flavors. So, what exactly is VariableBounce? 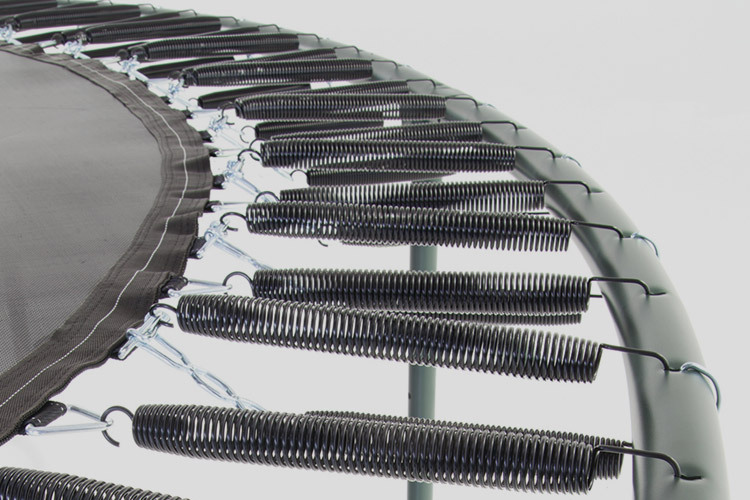 During a bounce, the VariableBounce System engages the springs asynchronously; a portion of the springs start to engage immediately when the jumper lands and the remaining springs engage a split second later. 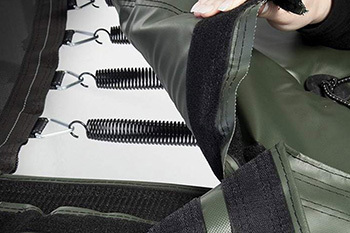 Like an airbag in a car, this extra split second of time makes a big difference — especially during an awkward landing — because it allows a jumper to absorb impact forces more slowly and gradually throughout the body. 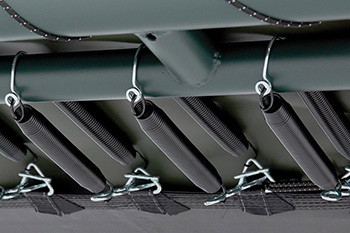 Bottom line, you get a smoother, more forgiving landing and a better, higher return bounce. 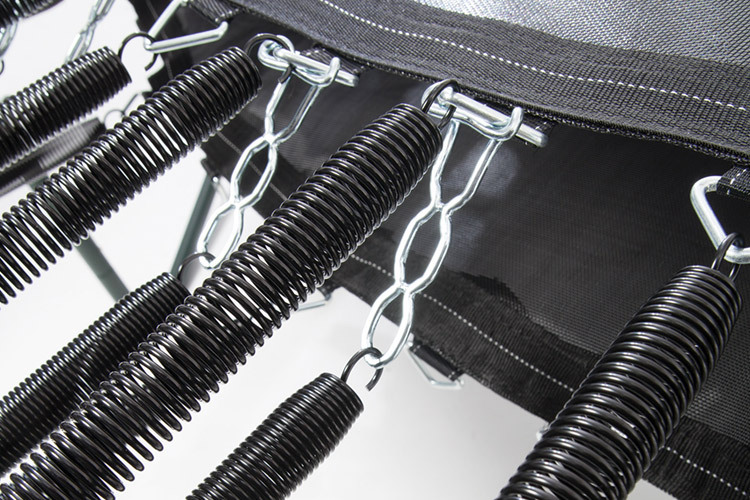 Our high-quality AlleyOOP springs, specifically engineered to bring you both comfort and height, further improve the bounce performance. Double the Safety, Double the Fun! 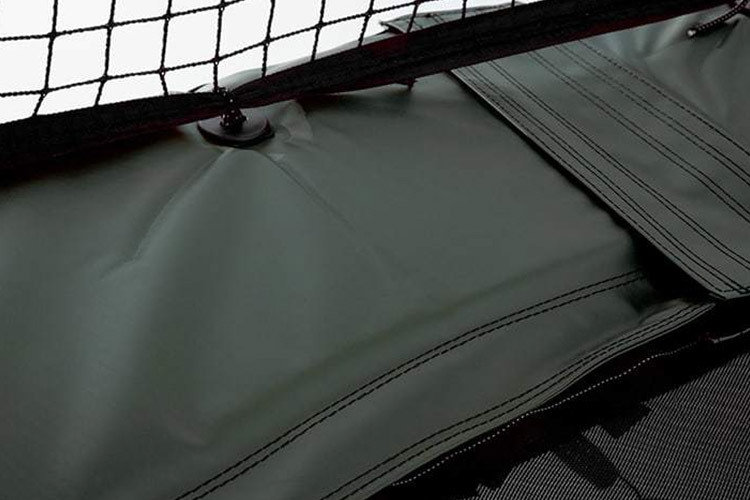 Like the VariableBounce trampoline, AlleyOOP's DoubleBounce System is designed specifically to help reduce the risk of injury on the mat of the trampoline, where most injuries occur. 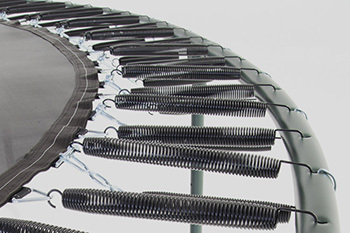 The DoubleBounce design offers significant safety and performance advantages over any single-bed trampoline. 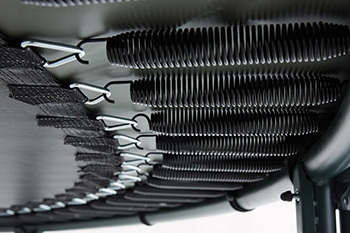 This top-of-the-line system is, quite simply, the world's most advanced safety-engineered trampoline. 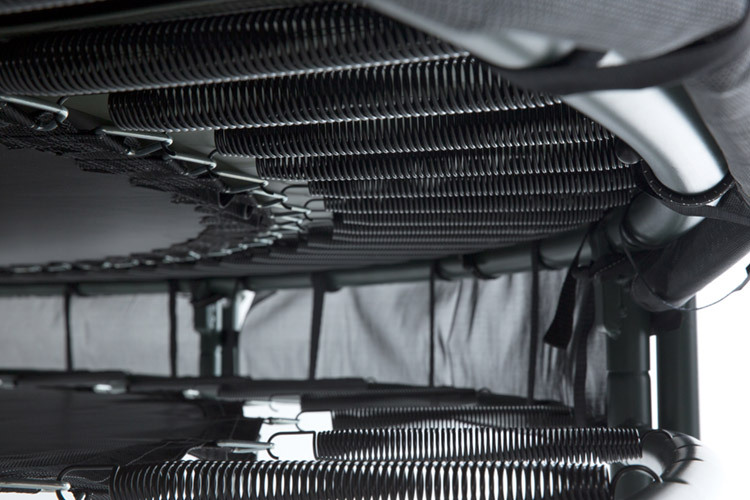 Looking for even more bounce? 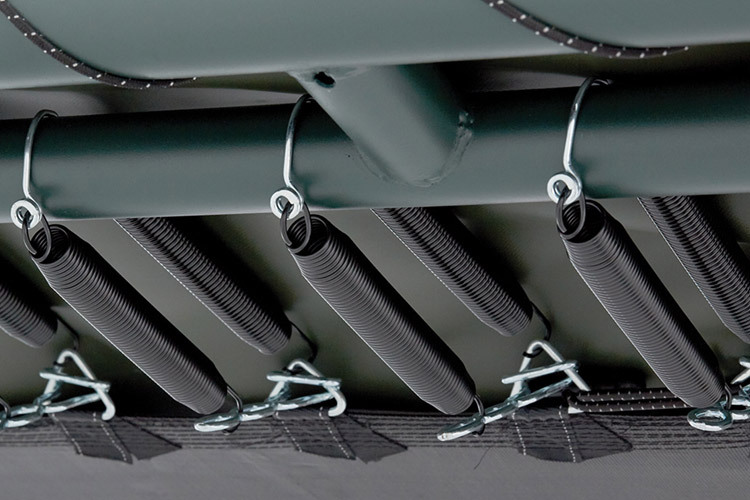 PowerBounce is AlleyOOP's Dual Spring Performance Technology, an additional set of springs that can be tuned to different ages, weights and skill levels to best suit your family, and can easily be added to any AlleyOOP trampoline. Taking bouncing to a whole new level. 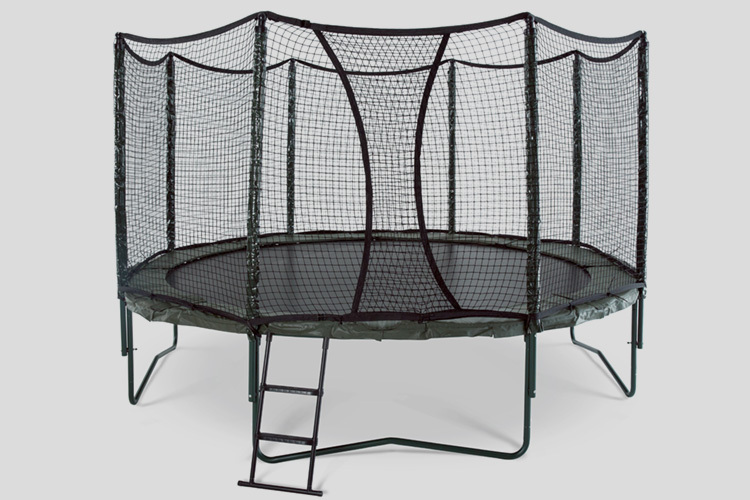 Fitness trampolines have been used for many years for a wide variety of workouts. JumpSport has taken bouncing to the next level. 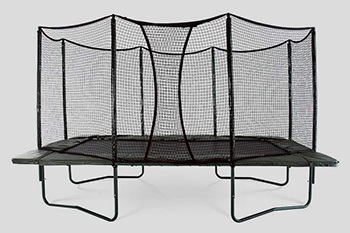 Old-style rebounders are very stiff and uncomfortable to jump on. 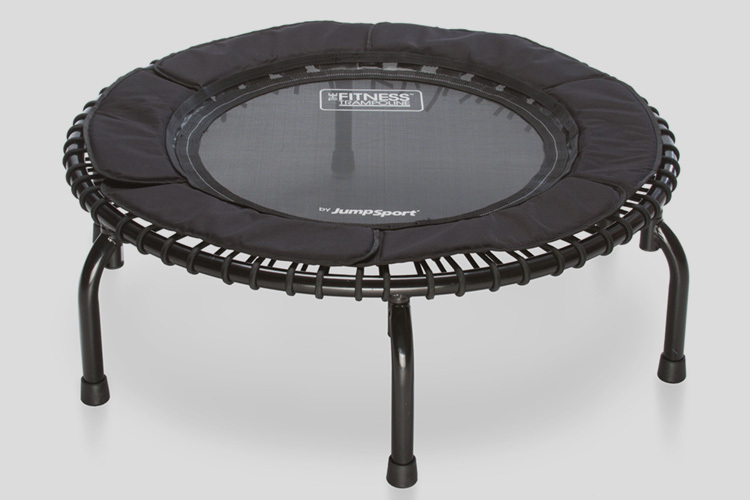 The JumpSport fitness trampoline employs our proprietary formulated elastic cords. Unlike the jarring sensation found with steel coil spring rebounders, the elastic cords provide a smooth, low-impact bounce that is nearly silent. 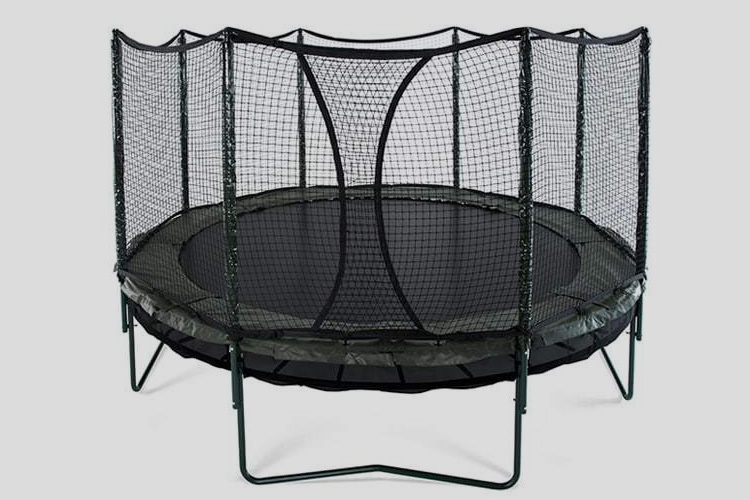 And lastly, jumping on trampolines is fun! 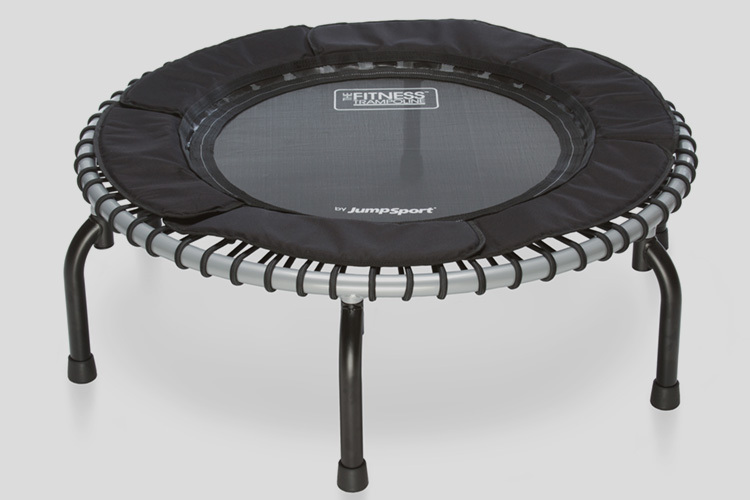 The fitness trampoline allows you to finally enjoy your workout.